Do you remember the taste of the tomatoes you grew from seeds? How about the delicious apple of your own apple tree? And the clean and unforgettable taste of the lettuce that you just dug out from your own vegetable garden? That is what I am talking about; that unique, clean, memorable, taste of Goodness. When you pick up one of our Salad Dressings, this is the very same taste that you are getting. We make all of our products locally and fresh. We do not use warehouses, distributors, distribution centers, etc.. We make all of products fresh to order. 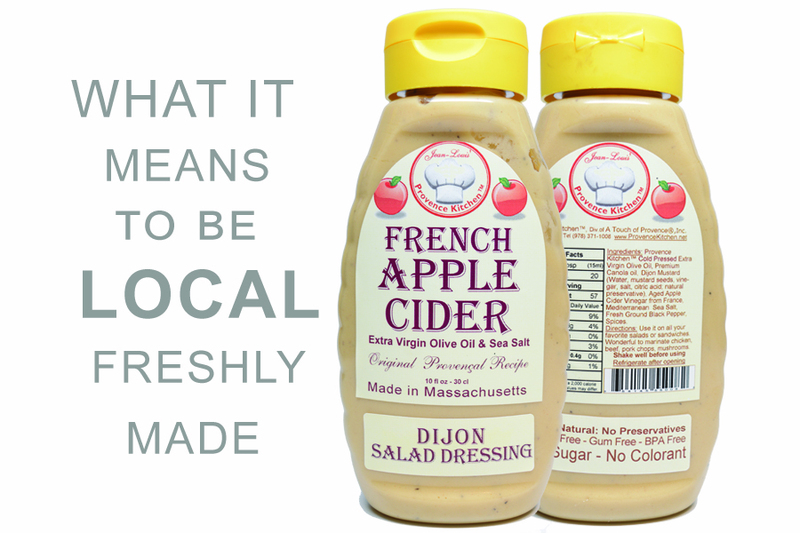 So you get that locally grown and locally made taste every time you use our Salad Dressings. Please support Your Local Artisan and shop with us for the best Vinaigrette ever! It comes in 6 and delicious vinegar flavors; French Apple Cider, French Red Wine, French Champagne, Balsamic from Modena Italy, French Red Raspberry and French White Wine. All Pure Goodness! Our Salad Dressings are honestly amazing; they simply are The Taste of Locally Made Goodness!